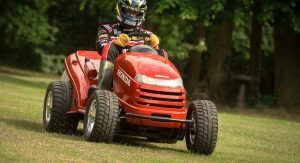 Admittedly, cutting the lawn is a chore that most of us like to avoid – I mean, what’s so interesting about pushing a mower? 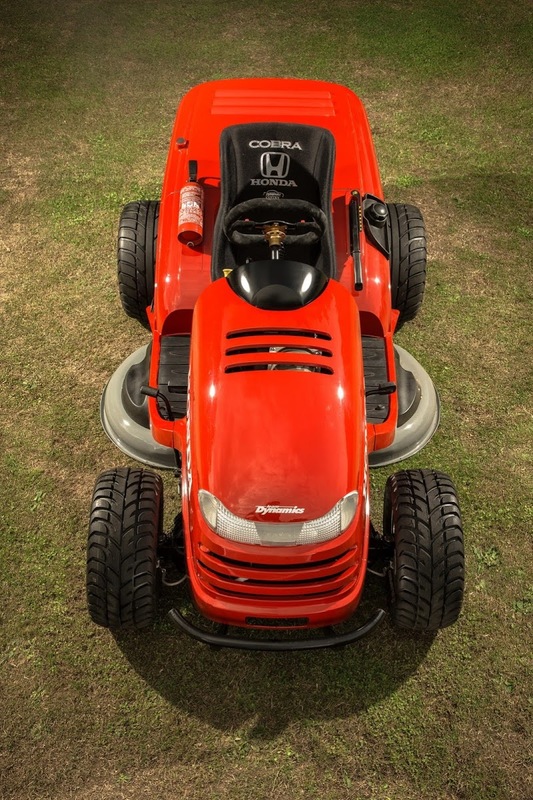 Well, if you’re talking about your mom and pops lawnmower, nothing, but give us a chance to introduce the Honda Mean Mower and you will surely change your stance on the matter. 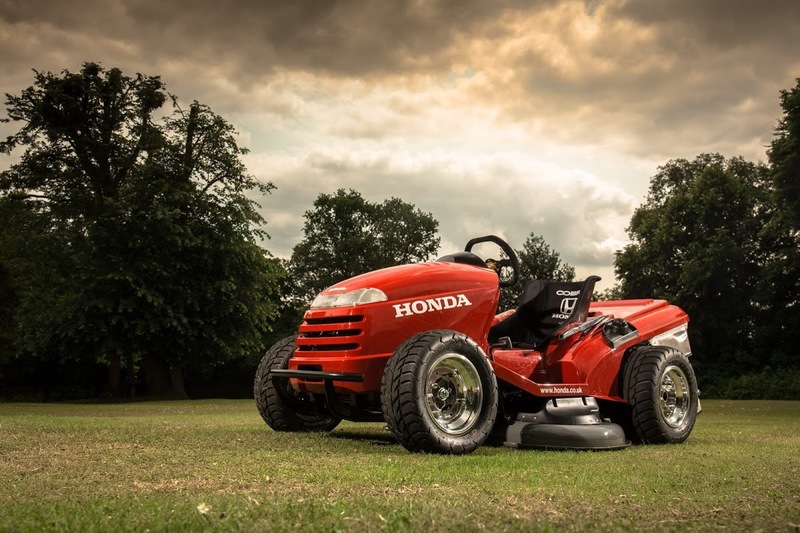 This bad boy is based on Honda’s regular HF2620 Lawn Tractor, but it will put to shame the new Porsche 911 Carrera in a 0-60mph (96km/h) duel with a flat four-second run. 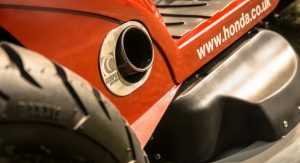 Did we mention that it tops out at 130mph (209km/h)? 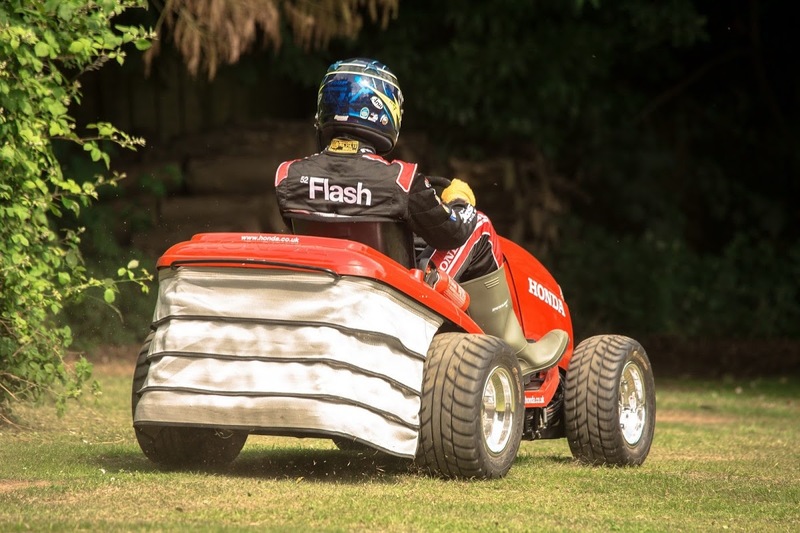 Mind you, these figures have been tested and verified – but just make sure your ears are covered because the Mean Mower is as loud as it is fast at 130db. 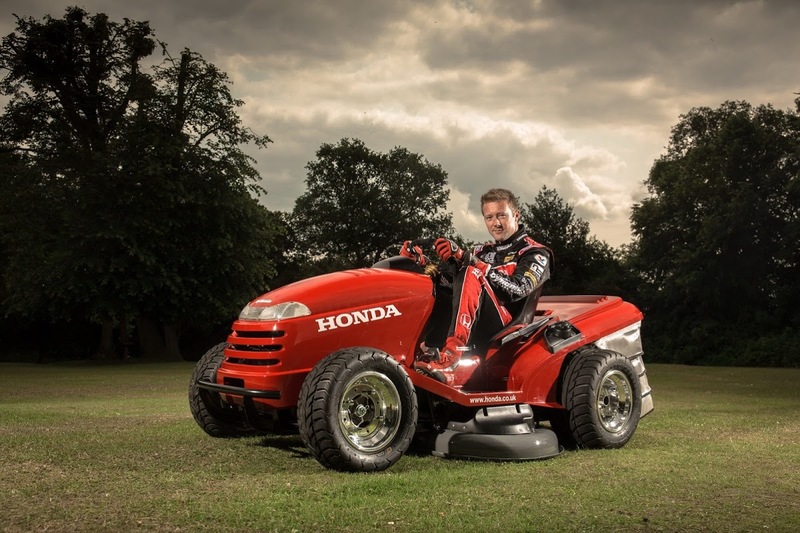 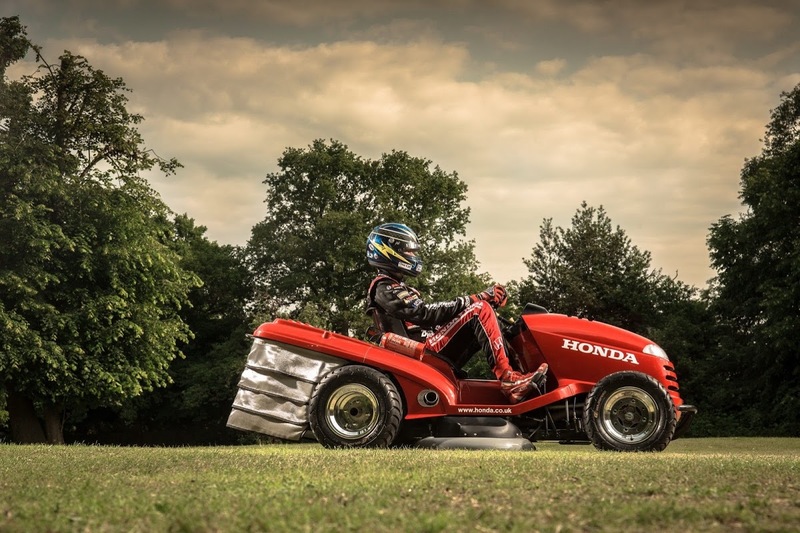 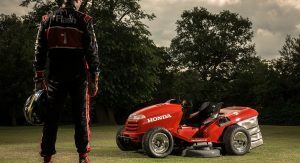 Billed as the world’s fastest mower, the Mean is the collaborative effort of Honda UK with Honda (UK) and their title winning British Touring Car Championship (BTCC) partner, Team Dynamics. 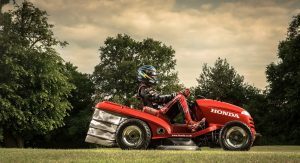 While it looks all stock (sans the wheels) and can cut grass like a champ, Team Dynamics re-engineered the HF2620 from the ground-up, adding an all-new fabricated chassis, custom-made from 4130 chromoly, while the factory engine was replaced with a 1.0-liter motorcycle engine from a Honda VTR Firestorm. 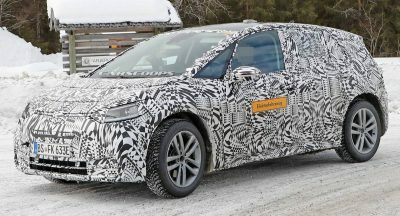 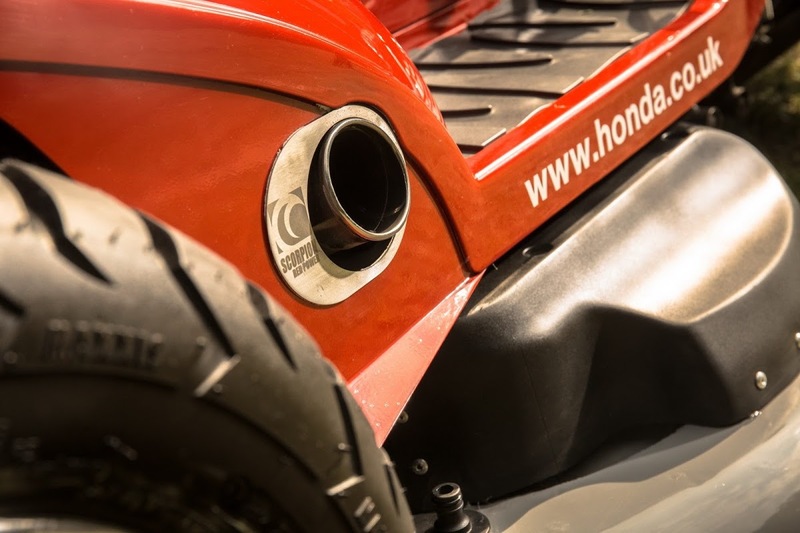 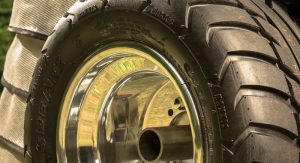 In addition, Honda used a bespoke suspension and wheels from an ATV, while the grass bag provides a home for the fuel tank, a high capacity oil cooler and a secondary water cooling radiator. 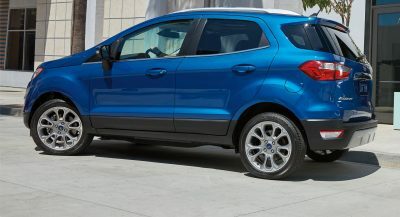 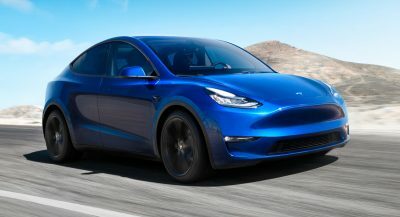 Other noteworthy upgrades include a custom-made paddle shift six-speed gear system, a Cobra sports seat, a Scorpion exhaust system and a steering rack taken from a Morris Minor. 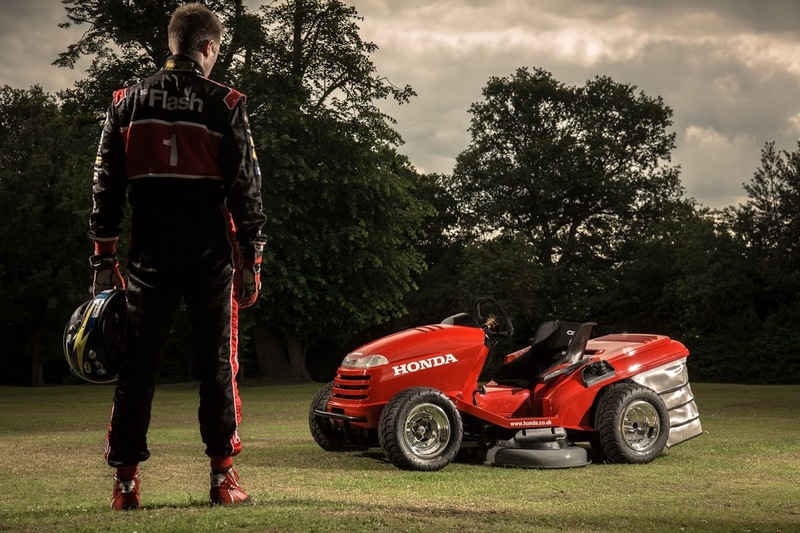 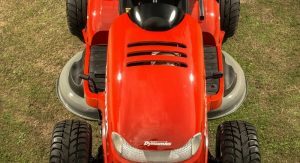 As for its ability to cut grass, the Mean sports two electric motors on the cutter deck, spinning a 3mm steel cutting cable at 4000rpm, with Honda stating that the mower can cut grass at around 15mph (24km/h), which is more than double the top speed of the original HF2620. 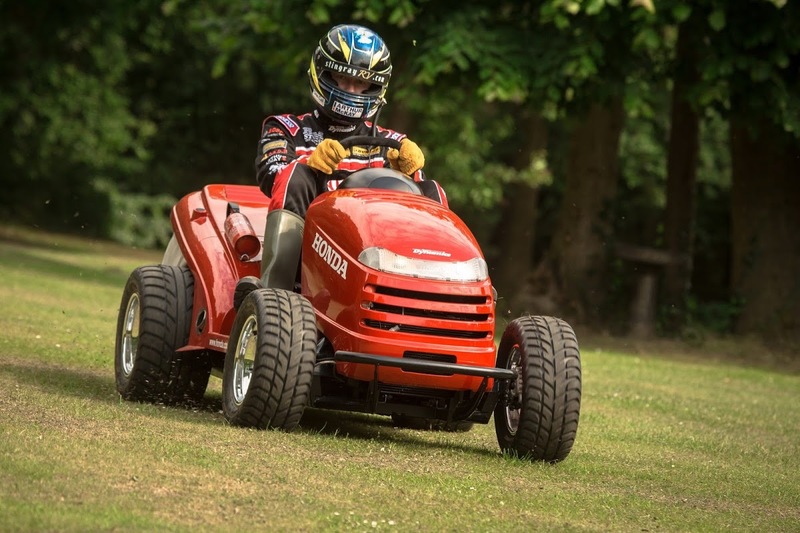 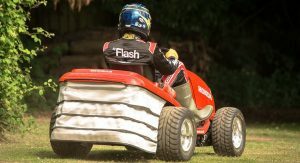 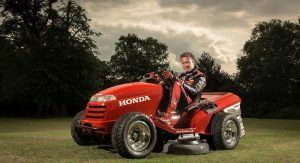 Below you will find a video from Honda as well as from Top Gear UK with The Stig trying out the super mower on track. 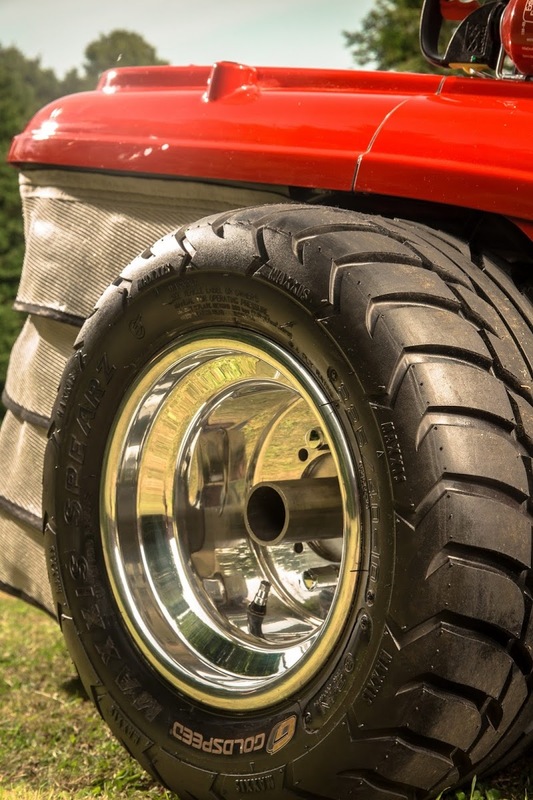 Previous PostPrevious Watch the New Lexus RC F Coupe on the Nürburgring – Is That a V8 we Hear? 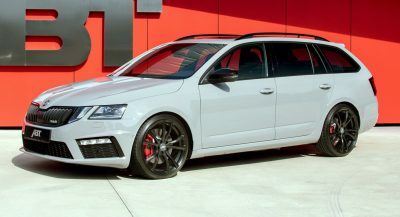 Next PostNext VW Prices Limited Edition Beetle GSR from $29,995 in the U.S.